Step by step tutorial on building MEAN Stack (Angular 5) Create-Read-Update-Delete (CRUD) Web Application from scratch using Angular CLI. 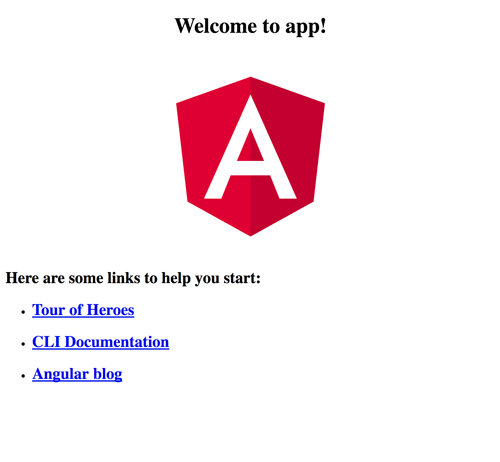 Step by step tutorial on building MEAN Stack (Angular 5) Create-Read-Update-Delete (CRUD) Web Application from scratch using Angular CLI. As you know that Angular 5 has been launched a few days ago, we need to test out their feature especially with MEAN Stack. MEAN stands for MongoDB, Express, Angular, and Node.js. MongoDB and Express on Node.js environment used as backend and Angular 5 used as the front end. As the previous tutorial about MEAN stack, we will be wrapping Express and Angular 5 together. run as one server. We assume that you already installed Node.js and runnable in the Terminal (Linux/Mac) or Node.js command line (Windows). Also, you have installed MongoDB and run Mongo daemon on your machine. First, we have to update the Angular CLI to the latest version (1.5 when this tutorial was written). Open the terminal or Node command line then go to your projects folder. Type this command for updating Angular CLI. You can exclude `sudo` when you update or install Angular CLI on Windows/Node command line. Now, type this command to create new Angular 2 application. You see the compilation process faster than the previous Angular version. Now, open the browser then go to `http://localhost:4200` you should see this page. Close the running Angular app first by press `ctrl+c` then type this command for adding Express.js modules and it dependencies. You will see the previous Angular landing page when you point your browser to `http://localhost:3000`. When you change the address to `http://localhost:3000/book` you will see this page. Now, we have RESTful API with the compiled Angular 5 front end. We need to access data from MongoDB. For that we will install and configure Mongoose.js. On the terminal type this command after stopping the running Express server. If you are still using built-in Mongoose Promise library, you will get this deprecated warning on the terminal. That's the reason why we added `bluebird` modules and register it as Mongoose Promise library. Add a models folder on the root of project folder for hold Mongoose.js model files. Open and edit again "routes/book.js” then replace all codes with this. To create Angular 5 Component, simply run this command. Now, we will making a request to Book RESTful API using this Angular `HttpClient` module. Open and edit `src/app/book/book.component.ts` then add this import. Add array variable for holding books data before the constructor. Add a few lines of codes for getting a list of book data from RESTful API inside `ngOnInit` function. Now, we can display the book list on the page. Open and edit `src/app/book/book.component.html` then replace all tags with this lines of HTML tags. That HTML tags include style class from Bootstrap CSS library. Open and edit `src/index.html` then add the Bootstrap CSS and JS library. To use book component as default landing page, open and edit `src/app/app.module.ts` the add import for Routing. Create constant router for routing to book component before `@NgModule`. To activate that routes in Angular 5, open and edit `src/app/app.component.html` then replace all codes with this. You should see this page when pointing to `http://localhost:3000` or `http://localhost:3000/books`. Add router to `src/app/app.module.ts` routes constant. Open and edit `src/app/book-detail/book-detail.component.ts`. Replace all codes with this. Open and edit `src/app/book-detail/book-detail.component.html`. Replace all codes with this. To create a component to add new Book, type this command as usual. Add 'book-create' link on `src/app/book/book.component.html`. Now, open and edit `src/app/book/book-create.component.ts` then replace all with this codes. Modify `src/app/book-create/book-create.component.html`, replace all with this HTML tags. As usual, we will generate component for edit book. Type this command for doing that. Add route in `src/app/app.module.ts` so, it looks like this. Open and edit again `src/app/book-details/book-details.component.html` and add edit routeLink in the last line. Now, open and edit `src/app/book-edit/book-edit.component.ts` then replace all codes with this. Open and edit `src/app/book-edit/book-edit.component.html` then replace all codes with this. Open and edit `src/app/book-detail/book-detail`.component.ts then add `Router` module to `@angular/router`. Add delete button in `src/app/book-detail/book-detail.component.html` on the right of Edit routerLink. Now, it's a time for testing the MEAN Stack (Angular 5) CRUD Application. If you need the full working source code, you can find it on our GitHub.